All of us love to travel. We love to travel to get rid of our everyday stress. We plan to travel because it is holidays for our children. Irrespective of the reason for the travel, it is important that we pack everything that may be required when we are away from our base. For this, you can use travel list templates. 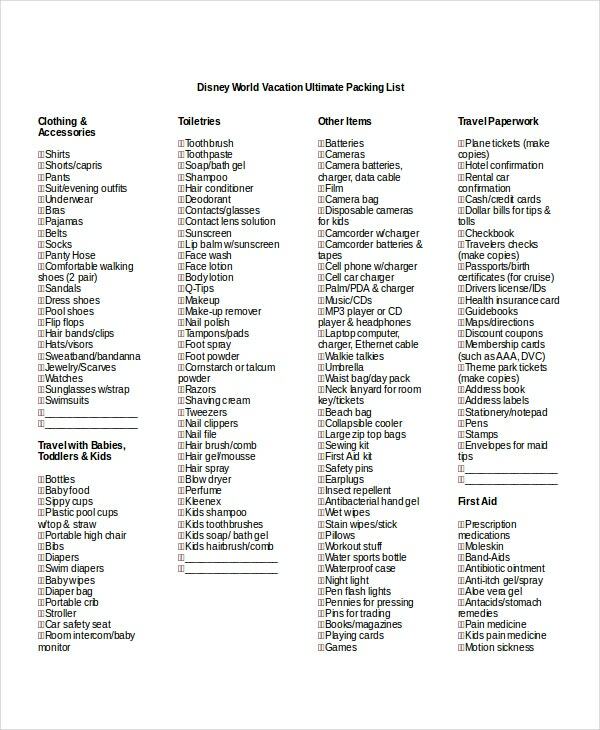 A Travel Checklist comes in handy during such times. 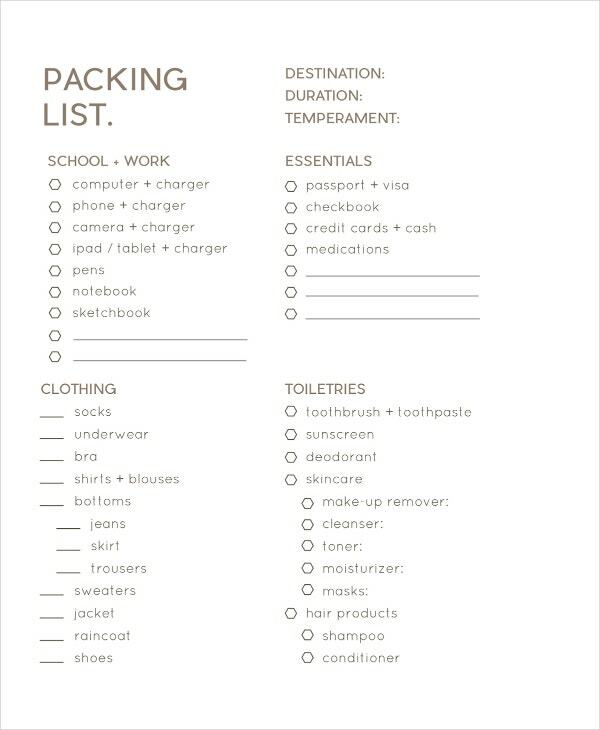 A Vacation Packing List or a Holiday Packing List helps a lot in doing a meticulous planning before travel. Beach Travel Packing List is a format which helps in preparing the travel packing list for people who plan for a beach trip. This is a simple format that can be easily customized by the users. 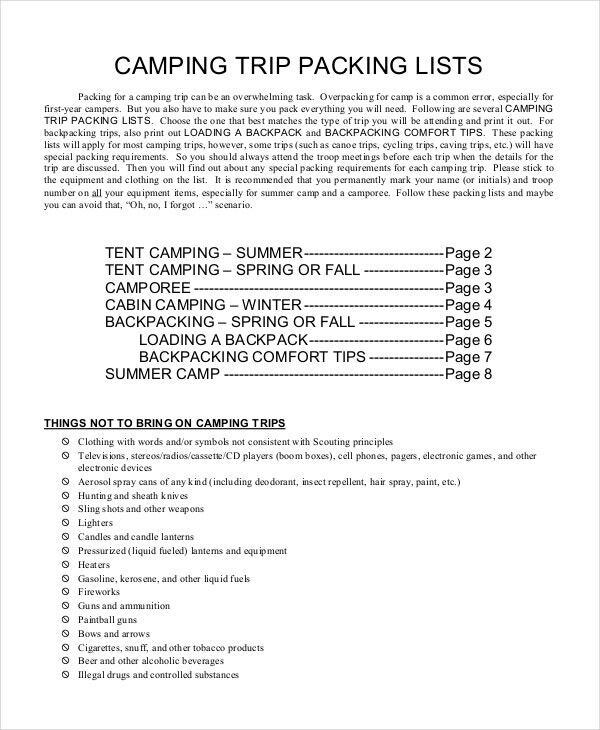 Camping Trip Travel Packing List is basically a list that helps people capture the complete list of things to be carried with them for a camping trip. This format can be easily customized by the users. Travel Abroad Packing List is a format that helps people capture all the important things that need to be carried on an abroad trip, in a comprehensive manner. 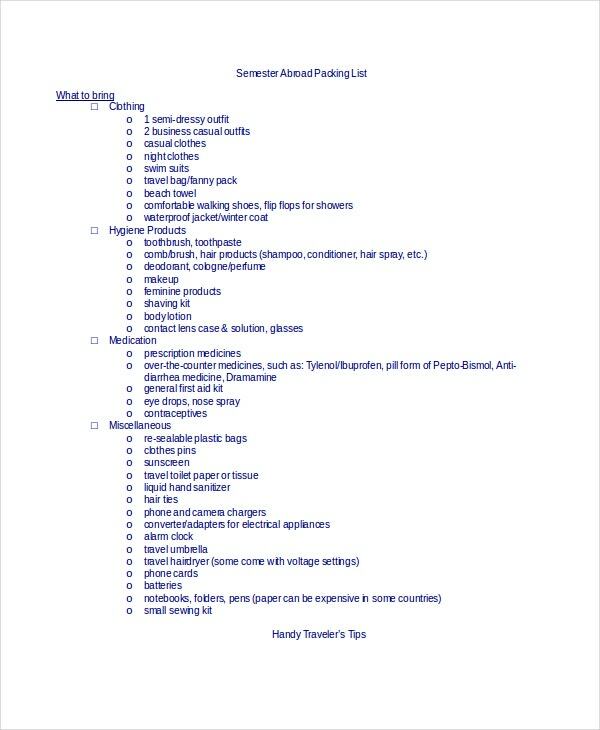 > How to use the Travel Packing Lists? Travel Packing Lists are useful formats that can be used whenever we decide to travel. These formats provide a complete list of things that need to be carried along with us based on the destination we decide to travel. 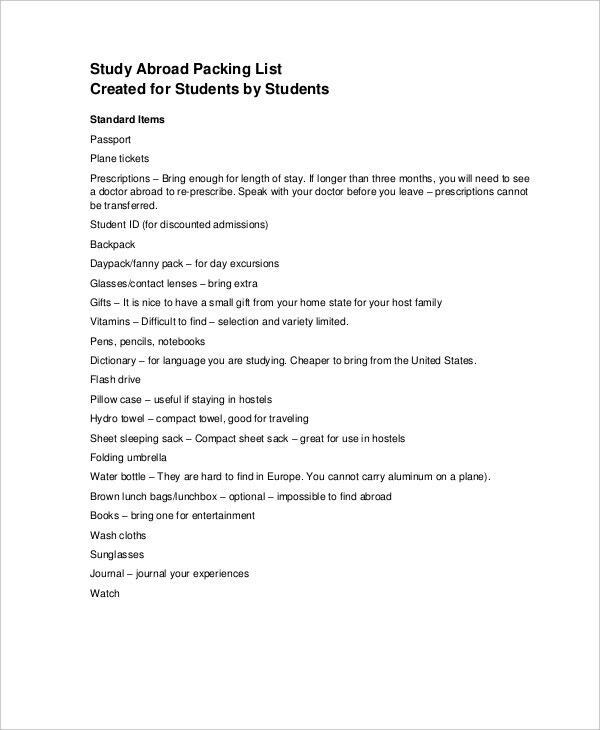 Download the Travel Packing List Templates for free and remind yourself of all the things that you need to carry on the trip. 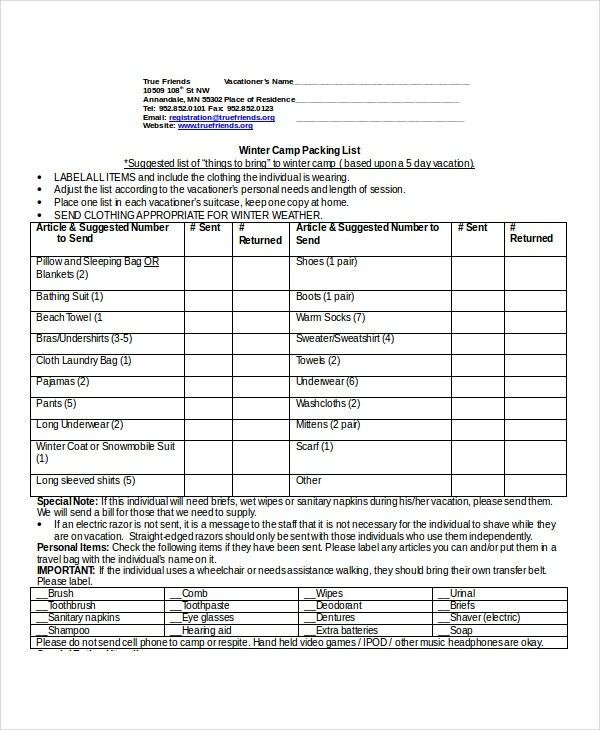 Travel Packing Lists are available for all kinds of travels in varying climatic conditions. 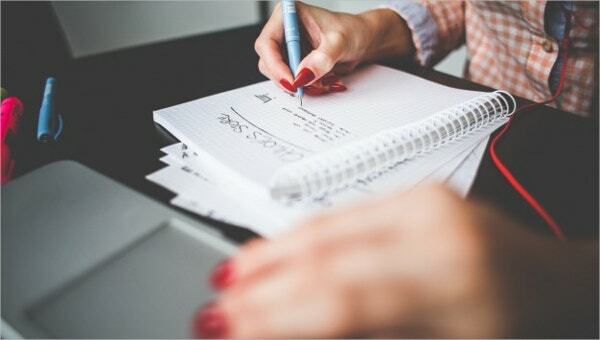 These lists are highly useful, particularly when we make a sudden plan and have very little time to think about the things that need to be carried on the trip. Winter Travel Packing List is a format that helps people to plan the things to be carried on their Winter Travel. It provides a comprehensive list of things that would be required for travel during winter. You can also see Word List Templates. 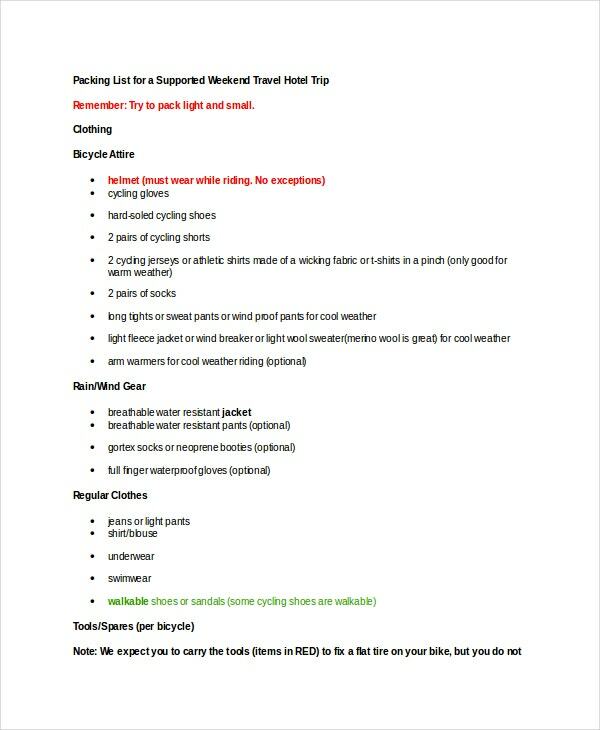 Weekend Travel Packing List is a format that provides a list of items to be carried by people who are planning for a short weekend trip. The format is customizable by users to suit their exact requirement. 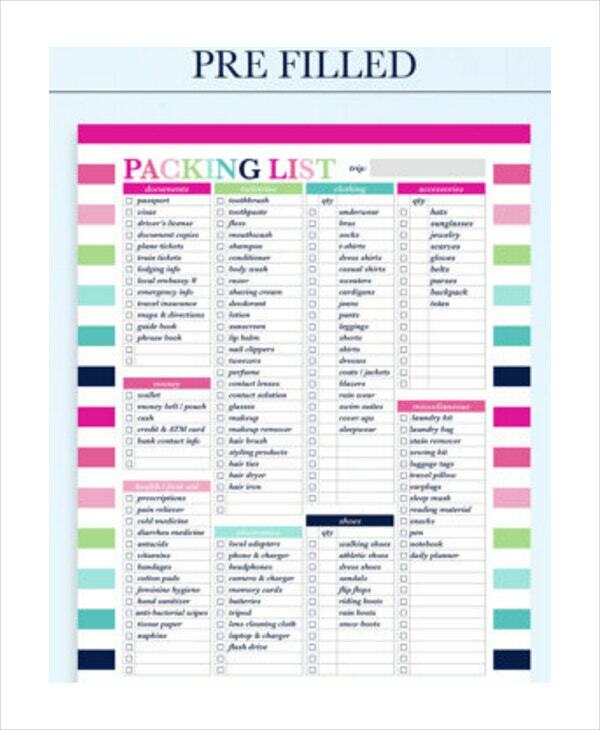 You can also see Printable Packing List Templates. > Who Benefits from the Travel Packing Lists? 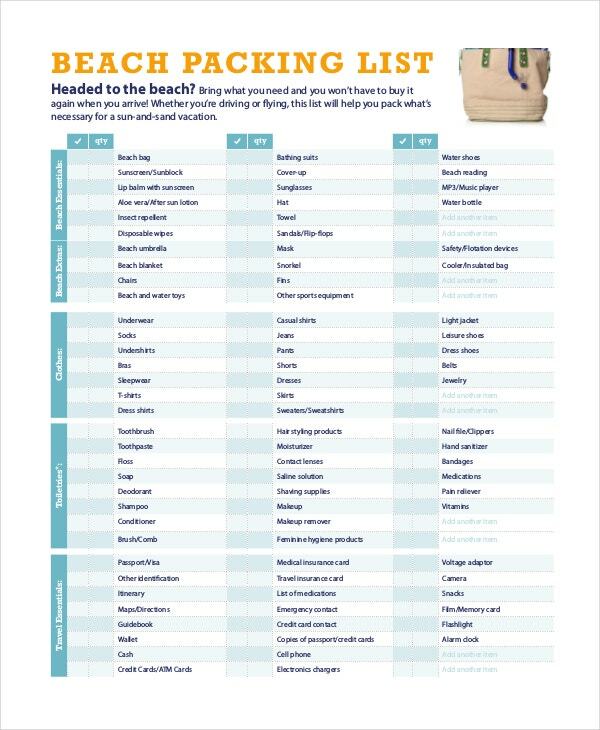 Download a Travel Packing List free of cost. Customize the same to suit your requirements which may be related to medical or personal reasons. 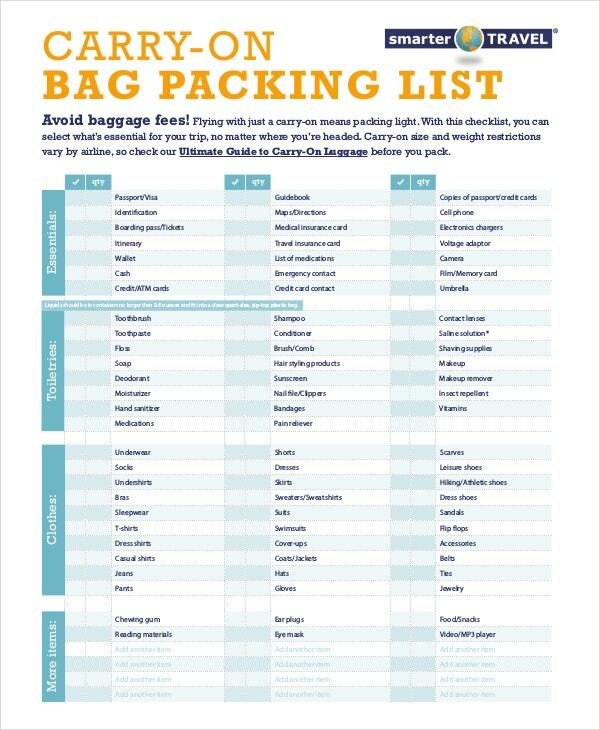 Make full use of these packing lists that provide a complete guidance to add value to your travel.